Aizawl, Mar 11 : A 38-year-old resident of one of Tripura’s seven relief camps for displaced Brus was on Tuesday sentenced to rigorous imprisonment for life and fined Rs 10,000 for his role in the 2013 ransom kidnappings of five casual workers under the forest department in Mizoram’s Dampa Tiger Reserve. Additional Sessions Judge Vanlalenmawia had on Monday found Lochiram Reang guilty of taking part in the ransom kidnappings. Among other evidences, the five kidnapped men testified Reang actively took part in their capture in February 2013, although two of them said they were not sure of having seen him as part of a smaller group of armed men who entered their work camp near the Chikha anti-poaching camp. Two defence witnesses said Reang used to work in farms near Thaidor village in western Mizoram, but admitted they did not know of his daily activities. 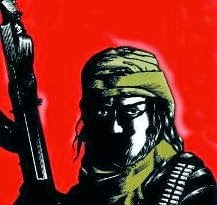 The five men were held captive in the eastern jungles of Bangladesh for 38 days by militants suspected to be cadres of the National Liberation Front of Tripura (NLFT) and the Western Development Liberation Front of Mizoram (WDLFM) who demanded a ransom of Rs 1 crore for their release. Reang has been the only one to be arrested among the 20-odd member group the victims said kidnapped them. According to the court judgment, police have identified six others by their names and places of residence. Mizoram Police arrested Reang in the Asapara relief camp on April 16, 2013 and booked him under charges that include kidnapping for ransom, taking part in a collective criminal act and illegally possessing arms. During the sentence hearing on Tuesday, Special Public Prosecutor R C Thanga asked for the maximum penalty of death for Reang, saying the kidnapped men spent almost 40 days in mental agony without knowing if they were going to live or die. He also pleaded that, although not mandatory, society’s reactions to the kidnappings, a spate of which has taken place over the past half-decade, should also be taken into consideration (a spate of nine kidnapping incidents over the past half-decade in the region has led to ethnic tension in Mizoram). R Thangkanglova, who was appointed by the court to represent Reang, however asked for leniency because “witnesses’ statements were contradictory”, that he accused was not part of the rebel group that perpetrated the kidnappings, and that he has four children, the youngest a month-and-a-half-old infant. The judge however said his hands were tied by the law and there were only two options – life in prison or death. “You can be hanged. Your crime warrants it because it is the same as wilful murder. The five victims testified you were the most active among their kidnappers. It may have been fun for you then because you were young, but for the victims it was terrible, not knowing if they would live or die,” the judge said, addressing Reang. He however added Reang has four children (the oldest of them 10 years old) and only a mother and a maternal grand-mother to take care of them, and that it was unlikely his siblings may be able to care for the kids since they are also most probably too poor to do so. He went on to sentence him to rigorous imprisonment for life and a fine of Rs 10,000 instead of sentencing him to death as the prosecution pleaded. Talking to reporters after the sentencing, Reang maintained his innocence and reiterated the militants forced him to take part as a porter by threatening him with death while he was working his fields.